We believe location is no obstacle when it comes to obtaining specialist and quality legal advice. Our clients live throughout England and Wales and are also based overseas – and many chose to correspond via email and Skype. We have offices in Gloucestershire Oxfordshire and South Wales. Please complete and submit an enquiry form and we will contact you via email. 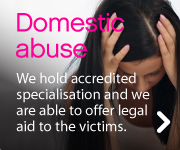 Alternatively, please call any of our offices to find out more or to speak to one of our solicitors. We look forward to helping you.